Taxable value is the license fees of the house as per house allotment scheme of the Government. 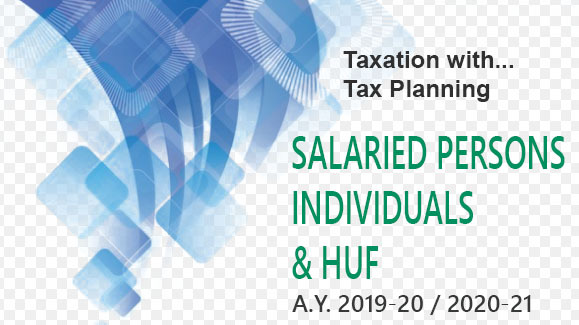 Taxable value is 15 % of salary of employee of the relevant period (7.5 % if population is 10 lakh or less or 10 % if population is above 10 Lakh but not more than 25 Lakh). Taxable value is either 15 % of the salary or lease rent, whichever is lower. Value of “furniture” will be added to the value of rent-free unfinished house as computed above. Value of furniture is 10 % per annum of cost of furniture to the employer or rent paid / payable of the furnishing by the employer, as the case may be. Value of the perquisite in respect of rent-free furnished / unfurnished house will be calculated as given above. From the amount so calculated, rent charged by employer shall be deducted. The balance (if it is positive) is taxable value of the perquisite in respect of concession in rent. Not chargeable to tax if provided in a “remote area”. Hotel accommodation/guest house accommodation provided to an employee is taxable at the rate of 24 % of salary of the relevant period or hotel tariff, whichever is lower. Hotel accommodation for 15 days (in aggregate in a previous year) can be provided immediately after transfer at the new location as a tax-free perquisite. Further, if an employee is transferred and housing facility is provided to him at the new location (he has yet to vacate a house given at the old location), for a period of 90 days immediately after transferred only one house (at the option of the employee at the old location or new location) is chargeable to tax. Perquisite in respect of rent-free furnished/unfurnished house is not taxable if provided to a High Court Judge, Supreme Court Judge, Union Minister, leader of opposition in Parliament, an official in Parliament and serving Chairman/members of UPSC. Actual expenditure of the employer (as reduced by any amount paid by the employee) is a taxable perquisite in the hands of an employee. Actual amount spent by the employer (as reduced by any amount recovered from the employee) is a taxable perquisite in the hands of an employee. Expenditure relating to providing training to employees is not taxable. If education facility is provided to the family members of employee, expenditure incurred by the employer is the taxable value of perquisite. If education facility is provided to the family members in an educational institute owned or maintained by the employer, then reasonable cost of education in a similar institute in or near the locality is taxable. Up to Rs. 1,000 per month per child is not taxable if the employer provides education facility to the children of an employee in an educational institution owned/maintained by the employer. Only 2 journeys in a block of 4 years is exempt (however, carry over concession is available). Exemption is based upon actual expenditure relating to travel fare only in respect of the shortest route from the place of origin to farthest point. Find out the maximum outstanding balance on the last day of each month. It shall be multiplied by SBI landing rate on the first day of the previous year. Amount recovered from the employee on account of interest is deductible. Perquisite is not taxable if the aggregate amount of original loan does not exceed Rs. 20,000. Moreover, if loan is given by employer for medical treatment (given in rule 3A) of the employee or his family members, it is not chargeable to tax. 10 % per annum of actual cost of asset to the employer or hire charges as reduced by any amount recovered from the employee, is a taxable perquisite in the hands of an employee. Any other Asset : 10 % of cost. Specified medical facility (given in rule 3A) in a hospital approved by the Chief Commissioner. Expenditure on medical treatment (including boarding and lodging) incurred by an employer outside India is not chargeable to tax in the hands of employee if it does not exceed the amount permitted by RBI under foreign exchange regulations. Travelling expenditure for going outside India for medical treatment purposes is generally chargeable to tax. Rs. 2,400 per month (above 1,600cc) for car and Rs. 900 per month for driver. Expenditure recovered from employee is not deductible. Entire expenditure incurred by employer including depreciation at the rate of 10 % per annum of actual cost of the car, is taxable in the hands of employer. Expenses recovered from employee are deductible. Rs. 900 per month (above 1,600cc) for car and Rs. 900 per month for driver. Actual expenditure incurred by employer minus expenditure pertaining to official use minus anything recovered from employee, is taxable in the hands of employee. Expenditure pertaining to official use can be calculated as per logbook of the car. Conveyance facility between office and residence is not chargeable to tax in the case of any employee of any organization. Moreover, conveyance facility to a High Court Judge, Supreme Court Judge and serving Chairman/members of UPSC, is not chargeable to tax. (tax free perquisite in the hands of employees of railways/airlines). (tea and snacks in working hours is tax-free perquisite). Taxable as a perquisite in the hands of an employee on the basis of actual expenditure of the employer as reduced by any amount recovered from the employee. Taxable as a perquisite in the hands of an employee on the basis of value at which such facilities are offered by other agencies to the public as reduced by any amount recovered from the employee. Gift-in-kind up to Rs. 5,000 per annum is exempt). Expenditure incurred (including annual or periodical fees) by the employer minus expenditure pertaining to official use minus anything recovered from the employee, is taxable. Health club/sports club facility given uniformly to all employees in employer’s premises, is not taxable. The initial one time deposits or fees for corporate or institutional membership, where benefit does not remain with particular employee after cessation of employment, are exempt. Fair market value of shares/securities on the date on which option is exercised by the employee, is taxable in the hands of employee. Amount, if any, recovered from the employee is deductible. Amount in excess of Rs. 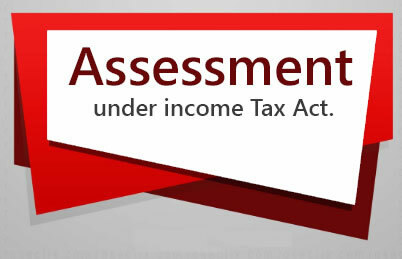 1.5 Lakh per assessment year is taxable in the hands of employee. Not taxable up to 2 years. Value of a residential telephone free of cost and the number of free calls to the extent of Rs. 1,500 per month (over and above the number of free calls per month allowed by the telephone authorities), is not taxable. Taxable as a perquisite in the hands of an employee on the basis of actual expenditure of the employer as reduced by any amount paid by the employee.